Danajon Bank in central Philippines was the ideal location for the first Net-Works pilot in 2012. It is one of only six double barrier reefs in the world, and is right in the middle of the cradle of global marine biodiversity. The 40 island communities in Danajon Bank are entirely dependent upon the ocean for survival. 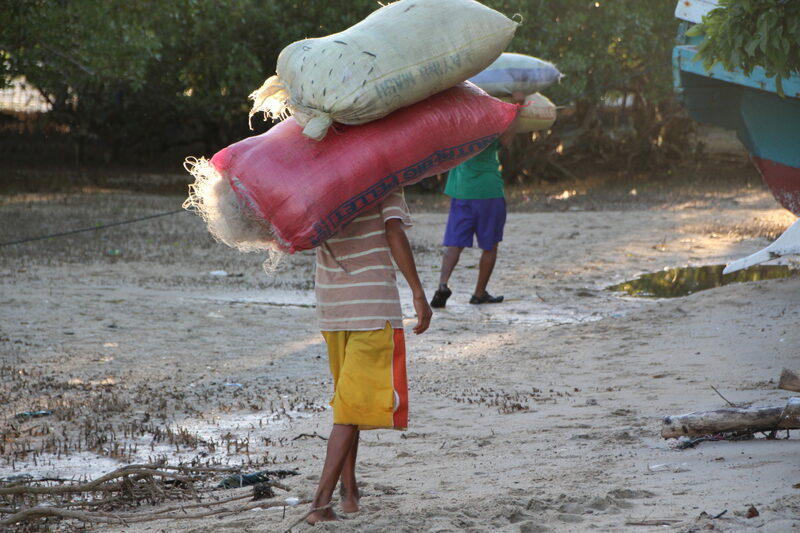 Overfishing and pollution have led to severe ecological damage to the reef, resulting in far less fish for the community, whose typical family income is only $6.50 per day. Discarded nets exacerbate this problem as they continue to catch and kill fish (ghost fishing), damaging the habitat the fish depend on. 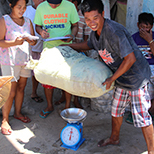 Prior to Net-Works, local residents had no means of sustainable waste disposal for used nets. 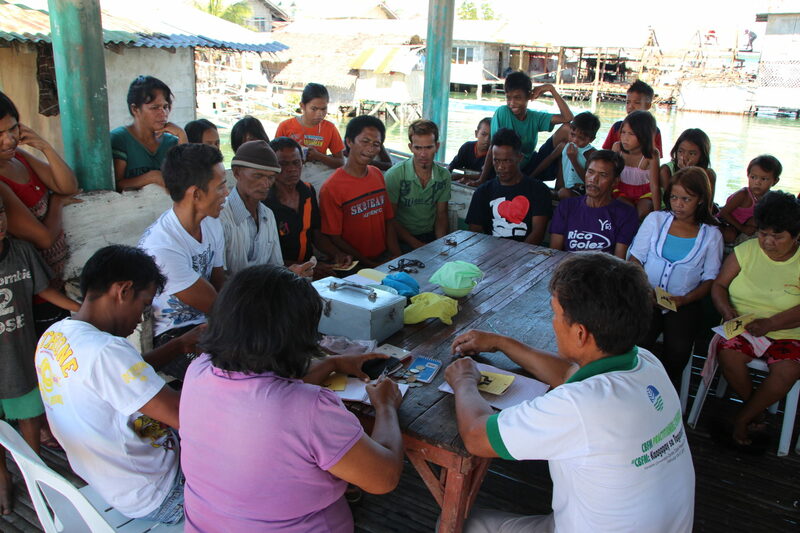 Working with local communities, the Net-Works team initially set up operations in the Danajon Bank area. This then expanded to the nearby Bantayan Islands and in 2015, Net-Works established a third hub in Northern Iloilo. Net-Works is now established in 27 communities across these three hubs. The Net-Works team in the Philippines - From left to right: Frenz Garcia, Smith Bajon, Fidel Estremos, Madz Blanco, Hazel Panes, Mia Apurado, Ricky Galvan. The Net-Works team is working with local partners to identify and assess other locations in the Philippines where Net-Works operations can be established in the future. 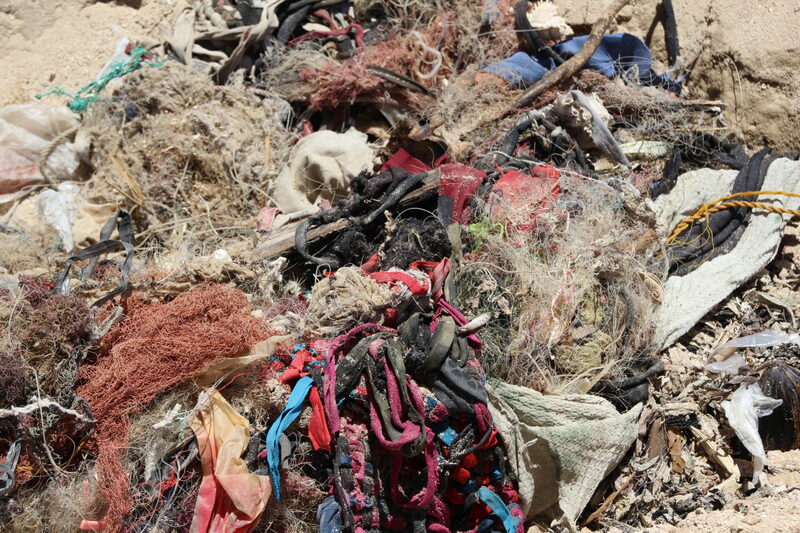 With no sustainable waste management system, nets were discarded into the waters and shorelines, damaging the ecosystem. Net-Works incentivizes people to collect and sell discarded nets, removing these nets from oceans and coastlines, rivers and lakes where they cause pollution and wreak havoc with marine life. 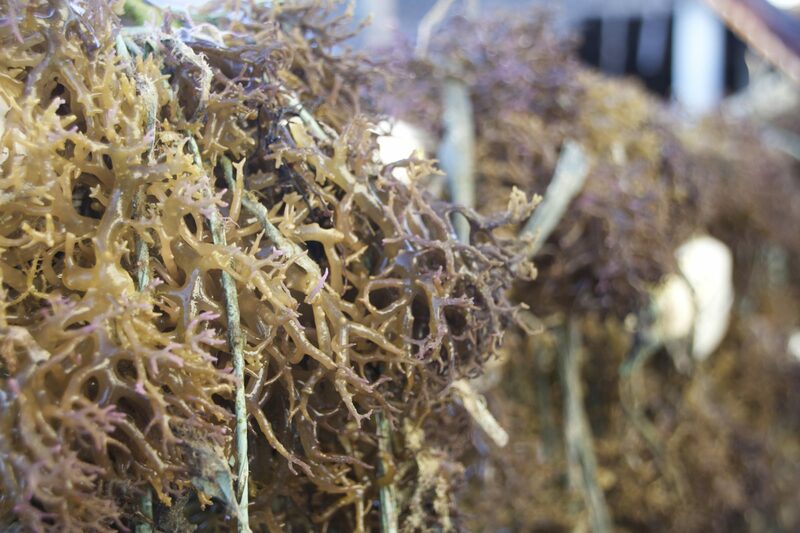 The nets collected are weighed before being baled and shipped to Aquafil for regeneration. 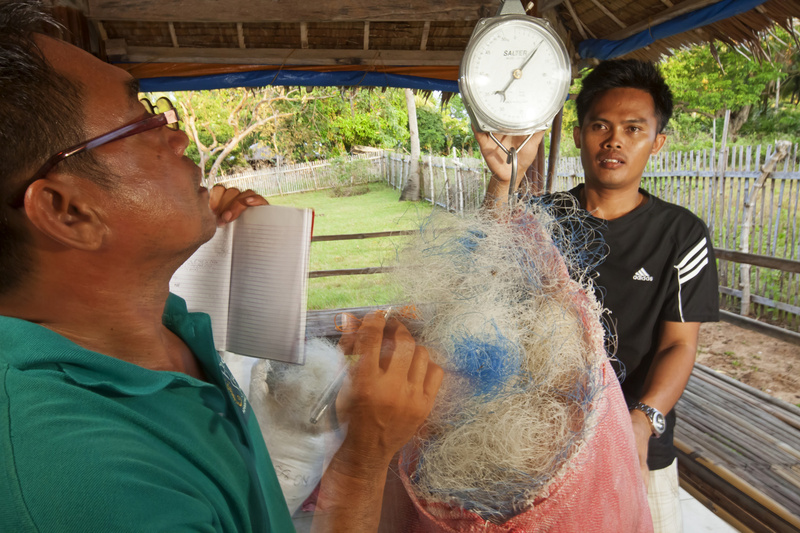 The community banks that Net-Works sets up manage the local net supply chain, organize coastal clean-ups and facilitate the sale of nets into a global supply chain. 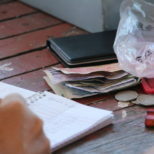 They also provide invaluable financial education and opportunities for savings and loans. 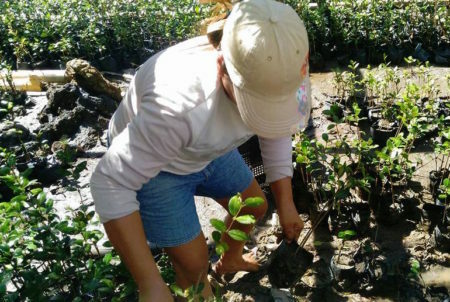 The supplemental income from Net-Works goes directly to communities and can be invested in improving local education or healthcare facilities, or in funding local conservation projects. 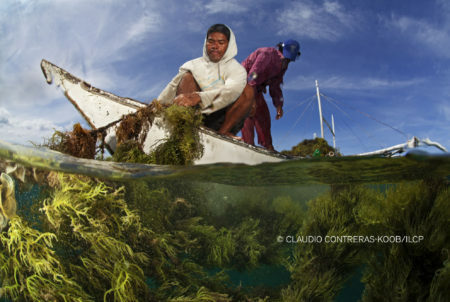 Proceeds from Net-Works can also be invested in developing new enterprises, such as seaweed farming, to help diversify livelihoods and make people less dependent on fishing. 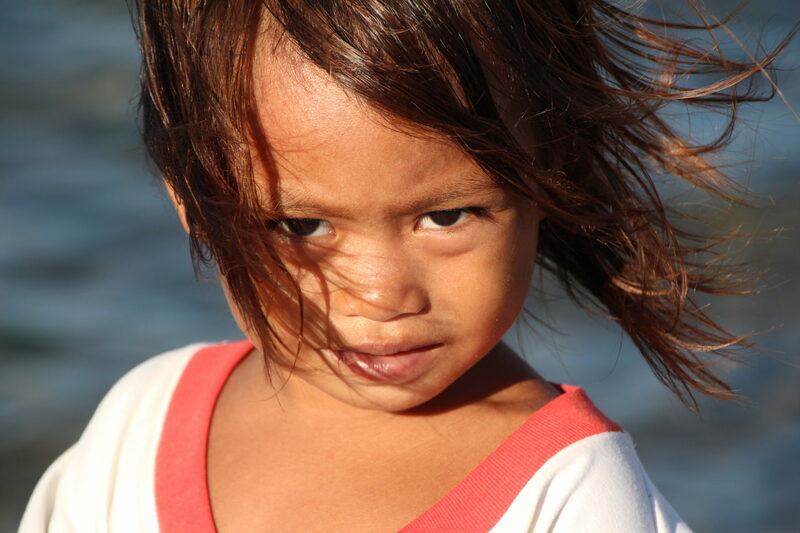 In 2013, the Philippines was struck by a devastating earthquake, quickly followed by super typhoon Haiyan. 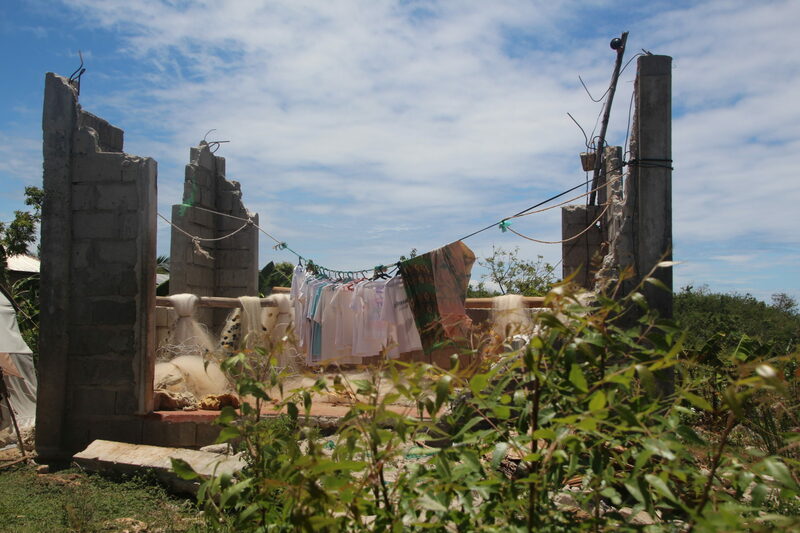 The Net-Works team provided support to communities during this difficult time. 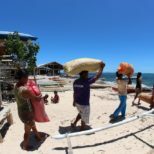 A micro finance organization working with communities in the Philippines, providing access to credit with loans and other services, NWTF supports net collection in the Bantayan Islands through community organizing and community finance.